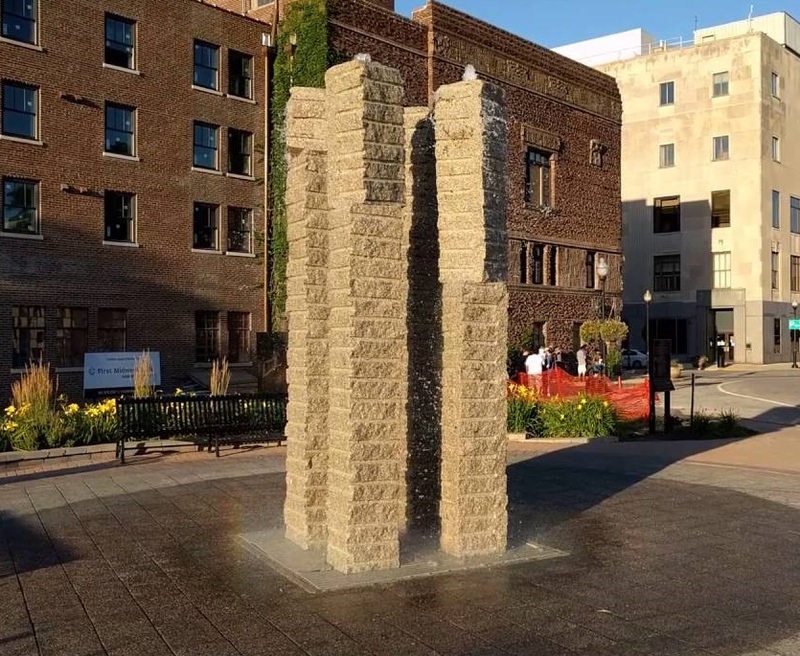 A kinetic water sculpture fountain sculpted by internationally acclaimed artist Christian Tobin "Isaac2 / Swimming Stones" brings Aurora the most mysterious essence of both science and art. Here the hydrostatic force of water unleashing the kinetic energy of stone creates a work of compelling vitality inviting us to look and linger, talk and even dream. These four massive granite obelisks- 12 feet in height, weighing 4000 pounds each- feature top-stone segments, rhythmically rocking and swiveling, balanced on cushions of water. Each time a top-stone centers itself on the middle of its tower and is restored to equilibrium, the power of gravity is once more proclaimed: each turn of a stone replying to the center of the earth. The elemental effect of the force of water through each of these commanding rock pillars cascading onto the pedestrian walk below brings us together with the laws of nature and the transformational power of art. 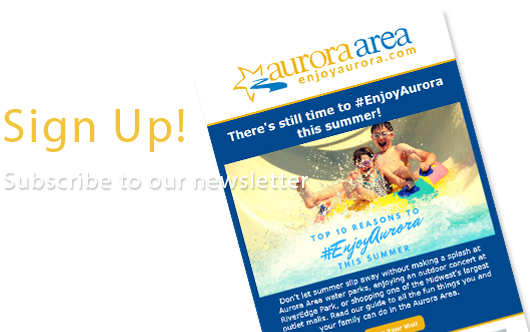 This sculpture was specially commissioned for this site by the City of Aurora Public Art Commission to inaugurate the Aurora Downtown Art and Science Walk series.